As part of his GQ Men Of The Year cover story, actor/comedian Dave Chappelle addressed a variety of topics and also offered his thoughts on both Kanye West and crooner D’Angelo. During his interview, Chappelle first recalled Kanye performing at one of his Radio City Music Hall performances this year. 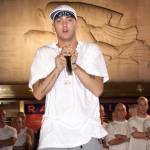 He says the Chicago, Illinois lyricist questioned why he wasn’t invited to perform at the show. While speaking on Kanye questioning his lack of an invite, Chappelle compared the rapper to a pretty girl at the dance and explained that “the machinery” behind the show may have been too intimidated to ask the rapper to take part. 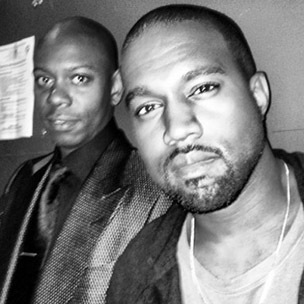 The former “Chappelle’s Show” host continued to speak on ‘Ye when asked what he thought about Kanye comparing his ordeals with the paparazzi to that of the civil rights struggle. He didn’t agree with Kanye’s civil rights struggle comparison, but did state that dealing with the paparazzi as someone with a great deal of fame has the potential to be dehumanizing. Chappelle was later asked if he thinks there’s a possibility that a new album from D’Angelo will ever come out. He revealed that he hopes a new project from the singer will come out, and then used a story about boxer Muhammad Ali to explain that D’Angelo could still be making music and hasn’t quite decided to share it yet.